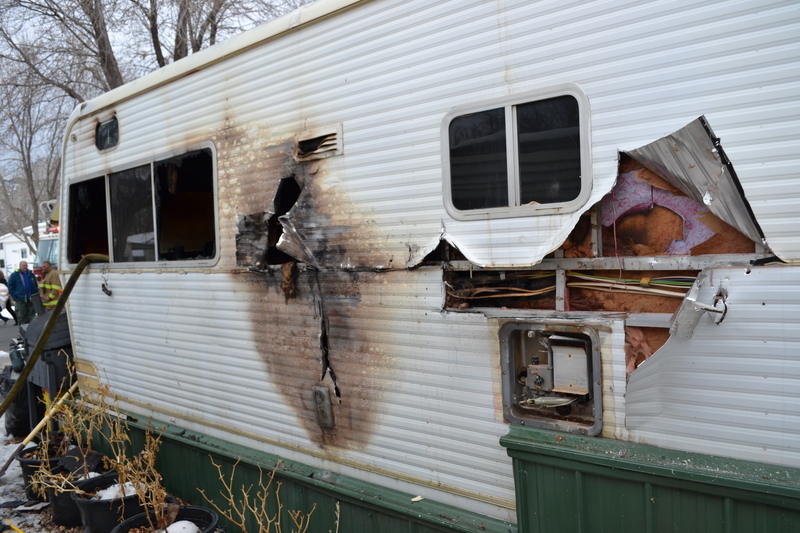 PAROWAN — The Parowan Police and Fire departments responded to a trailer fire early Monday afternoon in Foothills RV Park. At about 1:15 p.m., Parowan police and fire were dispatched to the trailer fire. The resident was apparently working on his furnace when the fire erupted, Parowan Fire Battalion Chief Kim Lovell said. It’s still unclear how the fire started. The resident was transported to Cedar City Hospital by Gold Cross Ambulance. His injuries are unknown, Lovell said. The man’s three cats were all killed. The fire left the trailer at a total loss, Lovell said, but was contained before it spread to nearby trailers.